Leedey Insurance, LLC held an open house on Thursday, May 12, 2016. Stacy Boyd, owner, and Melissa Folks served hamburgers, cake and drinks to over 125 people as a thank you for their support. Visitors came from Woodward to Hammon and everywhere in between! Stacy purchased Leedey Insurance, LLC in January of 2014. 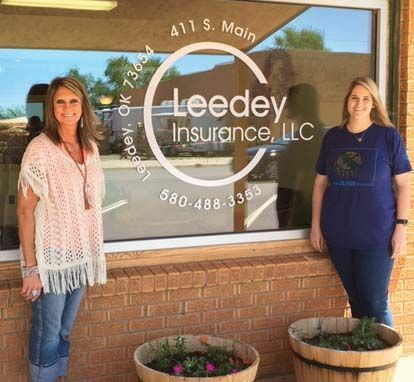 In December of the same year Leedey Insurance moved to its current location at 411 S Main in Leedey.